A large number of vape kits products emerged in 2018, and with its compact and portable size, the low power and the normal taste, You can’t have your cake and eat it. 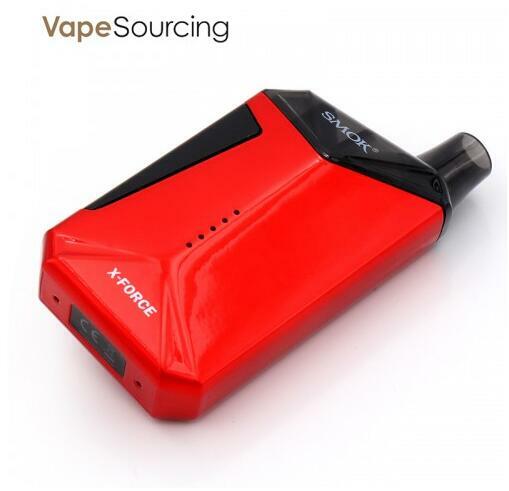 In order to break through such restrictions, a compromise in volume and performance is achieved, today we will share these two kits and make a comparison: SMOK X-Force Kit and SMOK X-PRIV Baby Kit. The smok x-force vape kit is made of plastic, so it is very light, with a fine surface treatment and a shiny spray process, making it completely free of plastics and full of high-grade metal. The chic mid-axis projection design brings a stereoscopic visual impact to the X-character design, which is stunning at the moment. 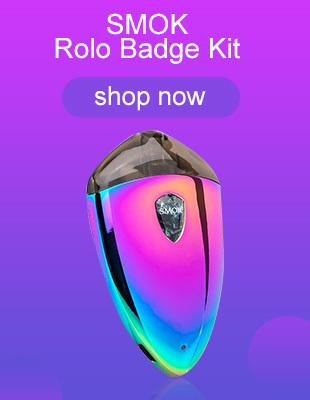 The SMOK logo-integrated large-area button on the side makes it easy to use. At the same time, its volume is controlled by the size of a typical cigarette box. 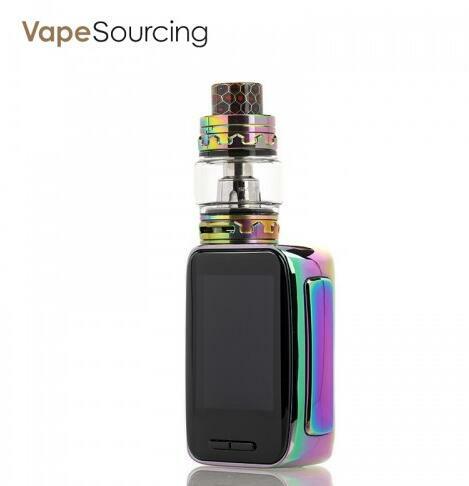 It is hard to imagine a kit with a capacity of 7 ml of e-juice and 2000 mAh. It can also be so tiny. The tailor-made ceramic coil not only has a qualitative improvement in the taste but also makes its mini atomizer a reusable environmentally friendly component. About the smok X-Force’s performance. In fact, its 0.31-ohm resistance can bring a very strong outbreak, and it is estimated that the matching power should be above 40W. Regardless of the amount of heat, the amount of smoke, and the speed at which the ignition responds, it is very satisfying. If you only talk about the explosive taste and smoking experience, it feels no different from using the regular box mods. It’s not like the light wind and drizzle of a pod system, but quite a bit of tempo and heavy rain, even satisfying the needs of DL vape. The overall outbreak experience is quite good. The smok x priv baby vape kit is similar in appearance to the 225W version. The ignition key set also shows the family lineage of SMOK. Whether it’s a frontal finger press or a reverse side through the palm position, it shows a handy experience in the ignition operation. The chip is also the regular setting of SMOK, the difference is only to reduce the power to 80W. The original atomizer is TVF12 BIG BABY tank, and there are many coils available under SMOK. The finished coil of the 80W kit is Q2 (0.4 ohms), which is a balanced coil, its output requirements are not high, the smoke performance is moderate, and the positioning of the kit is just right. About the X-PRIV Baby Kit’s performance. Although the size is greatly reduced, the function has not shrunk, in addition to the commonly used power function, temperature control, memory mode, for friends who like the ultimate custom taste is also very practical. The 2-inch large screen display also brings a great reading experience. 2300mAh built-in battery, if used for replacing cigarette, it has no problem if you fire at 15W in 2 days. In general, both of these two portable, large capacity and powerful kits, which are worth recommending. Wismec LUXOTIC MF Box Kit VS Vandy Vape Simple EX Kit, You Choose Which One?